MANILA — The Department of Labor and Employment (DOLE) on Friday said the second batch of firms that were either suspected or found to be engaged in labor-only contracting (LOC) is likely to be lesser than the initial number of companies released three months ago. 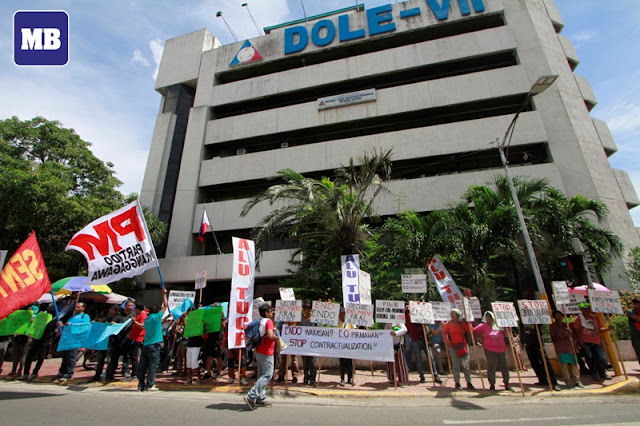 DOLE Secretary Silvestre Bello III said they expect the number of non-compliant companies to decrease since these firms know the government is serious in its campaign to stamp out illegal contractualizaton. “The same number of companies as the first batch are being inspected. But there is a likelihood that the number (of non-compliant) will be smaller since they already saw how serious we are,” he said in a media interview. “Some (firms) will voluntarily comply without getting compliance order from us,” Bello added. Last May, the DOLE released a list where 3,377 out of the 99,526 inspected companies were found to be either suspected or engaged in LOC, with 224,852 workers found affected. Among the companies included in the first batch were Jollibee Food Corporation and Dole Philippines Inc. They were found to be the two local companies having the most number of LOC workers with 14,960 and 10,521, respectively. The list was submitted to the Office of the President. LOC is defined as cases, wherein the contractor merely recruits, supplies, or places workers to perform a job or work for a principal, but does not have substantial capital, tools, equipment, machineries, supervisions, work premises; and that the contracted employees are performing activities that are directly related to the main business operation of the principal. On the other hand, Bello noted that the Labor Laws Compliance Officers (LLCO) are still processing the second list. The LLCO are the ones conducting the inspections.